CHRIS Brown is "giving Rihanna space". The duo called off their volatile romance earlier this month and have been involved in a Twitter war and friends of Chris, 24, say he thinks they need some time apart. A source told HollywoodLife.com: "It is what it is. One day he's with her, and the next they fight and they're over. "He's sad that she's sad and it irritates him when she blasts him on Twitter. But that's how girls are sometimes, he can't help that." "They're giving each other space right now." However, friends believe the duo - who split up after Chris was arrested for beating Rihanna, 25, up in 2009 before getting back together last year - will rekindle their relationship in the future. The insider added: "I'll tell you this much, it's never really done with them." Following the split, Rihanna and Chris were embroiled in a bitter Twitter exchange, although they didn't refer to each other directly. 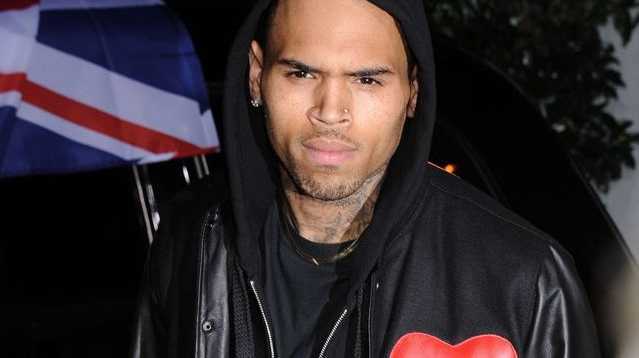 Chris hinted the 'We Found Love' singer had been unfaithful following reports she recently partied with her ex JR Smith. He wrote: "'She's not mine if she's everybody elses." His tweet came a day after Rihanna seemed to take a shot at the rapper when she posted an Instagram photo featuring the words: "If I drop all of my hoes for you and we still don't work out you owe me some hoes."